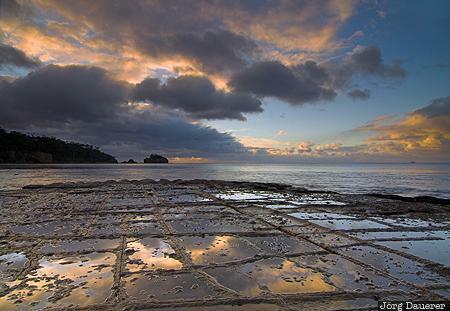 A colorful sunrise over Tessellated Pavement on the Tasman Peninsula with the Tasman Sea in the background. The Tasman Peninsula is in the south east of the island Tasmania, Australia. This photo was taken in the morning of a sunny day in April of 2007. This photo was taken with a digital camera.